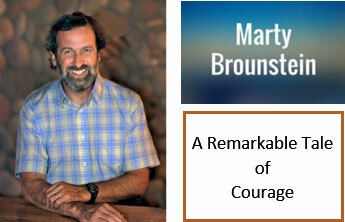 Please join us for an Interfaith story of courage and compassion with speaker, storyteller and author Marty Brounstein. 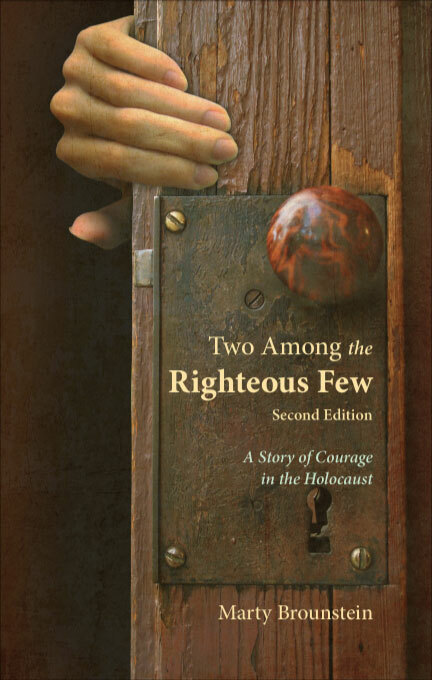 The courage and compassion to do the right thing: that’s a major theme that resonates with audiences when they hear San Mateo, CA-based author Marty Brounstein talk on his book Two Among the Righteous Few: A Story of courage in the Holocaust. In this book Marty presents a true interfaith story of courage, compassion, and rescue about a Catholic couple in the Netherlands named Frans and Mien Wijnakker who, despite much risk and danger, saved the lives of over two dozen Jews during World War II. Marty also has a meaningful personal connection to this story and its heroes, which he reveals in his engaging storytelling presentation. This book has not always been Marty’s main work, but is quite different and special from his first eight books. For over 25 years, he led the consulting firm The Practical Solutions Group, serving a wide variety of clients on issues of leadership and organizational effectiveness. Through this work, he wrote eight business management-related books, from contributing author to sole author, including Communicating Effectively For Dummies, Coaching and Mentoring For Dummies, and Managing Teams For Dummies. Marty’s journey, now well into its 8th year, includes 700 events and counting. The events have occurred throughout the San Francisco Bay Area, his home base, and 15 other cities -- New York, Boston, Chicago, Los Angeles, Phoenix, and Seattle among them. The engagements have been in such places as churches, synagogues, Muslim organizations, community centers, service organizations, Hadassah groups, people’s homes, Rotary Clubs, bookstores, schools, universities, libraries, book clubs, Holocaust and history museums, professional conferences and workplaces. Plus, in March 2014 at the invitation of the Dutch Consulate in San Francisco, he gave his presentation there. He has also been a keynote speaker for Holocaust Remembrance Day events in the Chicago, Phoenix, Seattle, and New York areas. In baseball lingo, Marty is batting 1,000 in terms of positive audience response – with attendees often commenting how this story would make a great feature film. So, the journey to share this special story continues. This event is open to the community. Come hear this inspirational story!